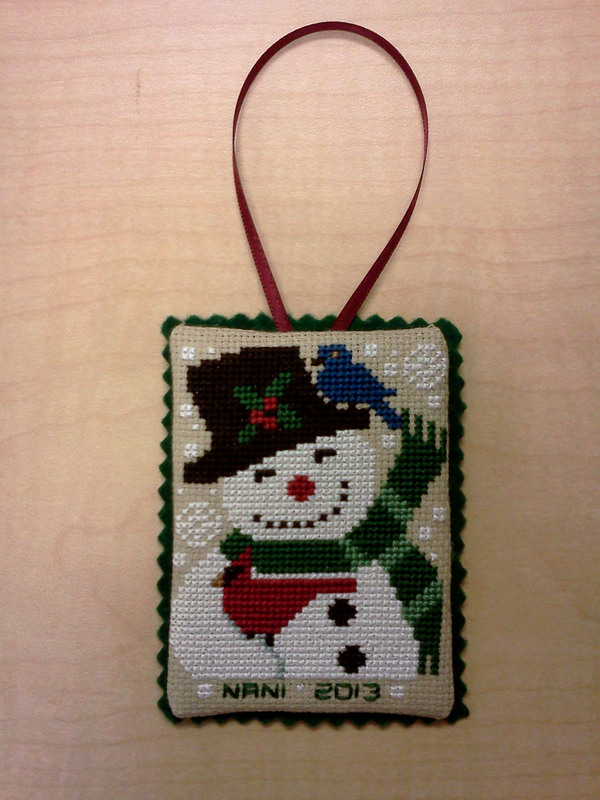 Posted on December 9, 2013	by Alice C.
Last week the Needle Artisans of Northwest Indiana (NANI) had their annual holiday party. One of the activities during the evening is an ornament exchange. This was my first ornament exchange with the group, since I just joined this past year, so I was a little nervous that my ornament would not stand up to some of the incredible work I am seen the other members do over this past year. But, I think my contribution turned out okay. 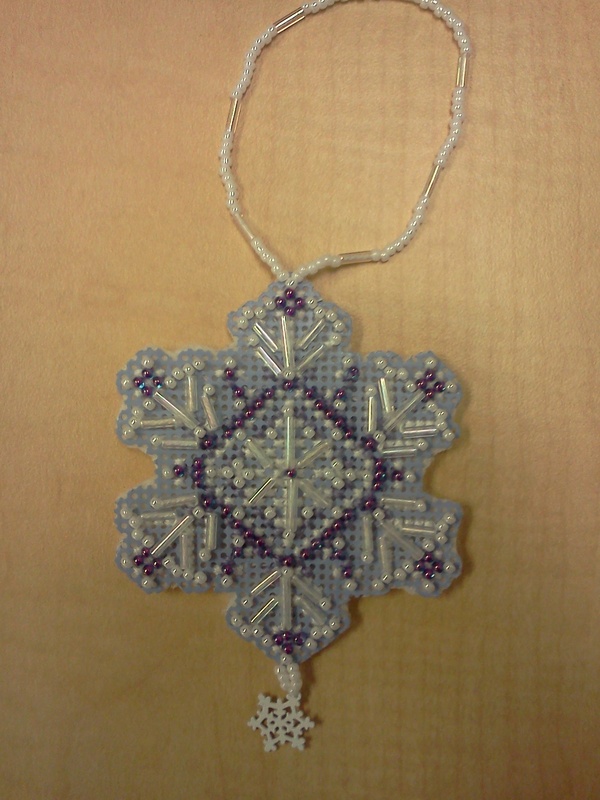 The pattern is by Prairie Schooler from the Holly Days pattern leaflet. This happy snowman stitched up so fast and looks so cute that I may make another for myself. Isn’t it wonderful? As soon as I got home from the holiday party, I immediately put this ornament on my Christmas tree in the living room. I only removed it to take this photo. This entry was posted in Cross-Stitch and Needlework and tagged beading, beads, Christmas, cross-stitch, crossstitch, needlework, ornaments, snowman. Bookmark the permalink.